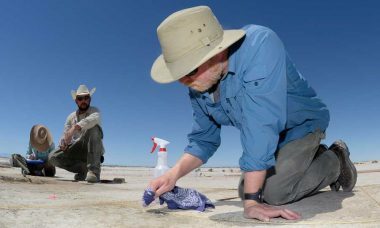 10,900-year-old stone tools found in Utah contain the earliest known evidence of potato use in North America, archaeologists say. 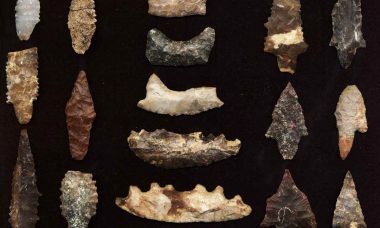 A new study claims that humans were hunting in California 130,000 years ago, but skeptics abound. 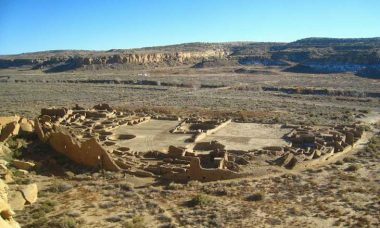 New DNA evidence shows that elite leaders at Chaco Canyon weren’t just members of the same class — they were members of the same extended family, a “dynasty” that traced its ancestry to a single woman. 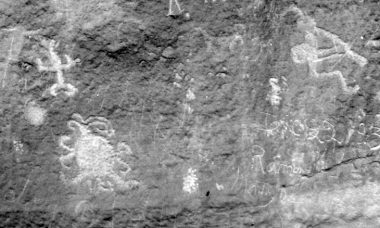 The elites of Chaco Canyon were born and raised there, and weren’t migrants from distant regions, as many thought, new research finds. 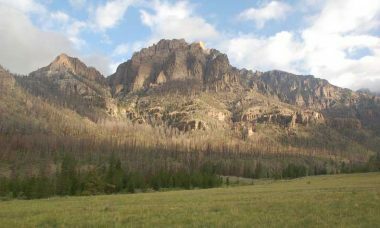 A wildfire high in the mountains of Wyoming has revealed a vast, centuries-old Shoshone campsite, with artifacts numbering in the hundreds of thousands. 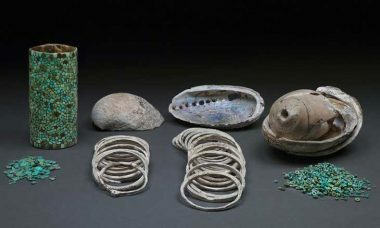 Recently, researchers have been at odds over a simple, central question in Southwestern archaeology: How did the people of Chaco Canyon manage to grow their food? 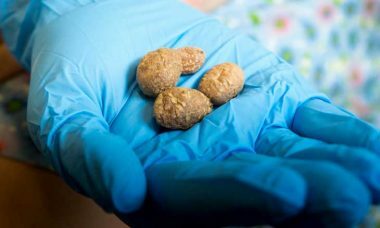 According to new research: They didn’t. 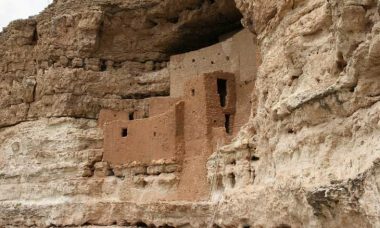 The final days at one of Arizona’s most famous ancient landmarks were fraught with violence and death, new research shows. 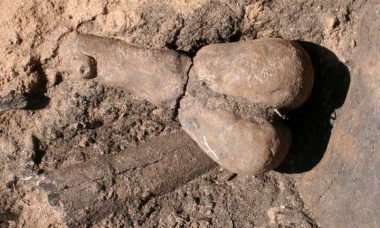 Curious clay figurines found in Arizona may be fertility symbols used by farmers as much as 3,000 years ago. 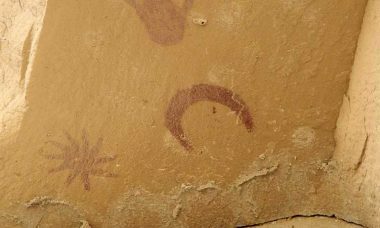 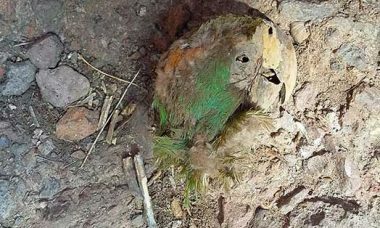 Archaeologists investigating a cave have discovered an unusual burial that’s providing new insights into the ways of some of the earliest farmers of the Chihuahuan Desert. 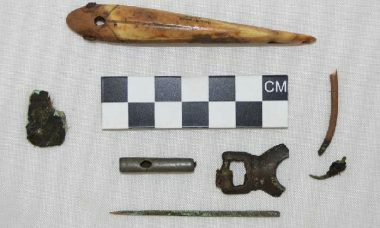 A bronze buckle and metal bead found in Alaska are the first hard evidence of trade between Asia and the North American Arctic, centuries before contact with Europeans. 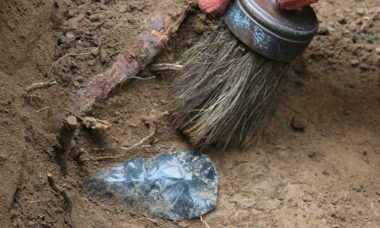 A landowner in Oregon has discovered a cache of obsidian blades that had been stashed away a thousand years ago or more by prehistoric traders. 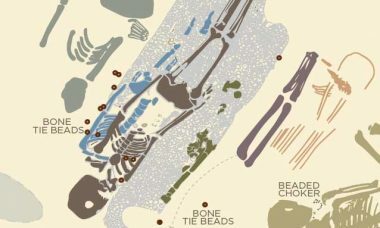 The people buried in one of America’s most famous prehistoric graves are not who we thought they were, researchers say. 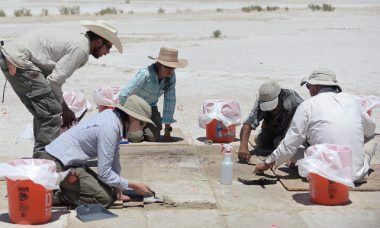 An Ice Age hunting camp being excavated west of Salt Lake City is the first archaeological find of its kind, for several reasons, researchers say. 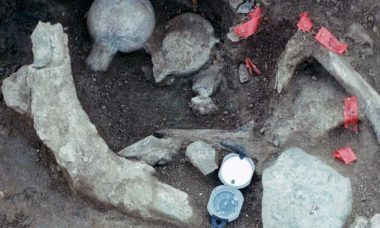 Archaeologists have turned up evidence of some of the oldest human activity in coastal Southern California, just off the coast of Ventura County.